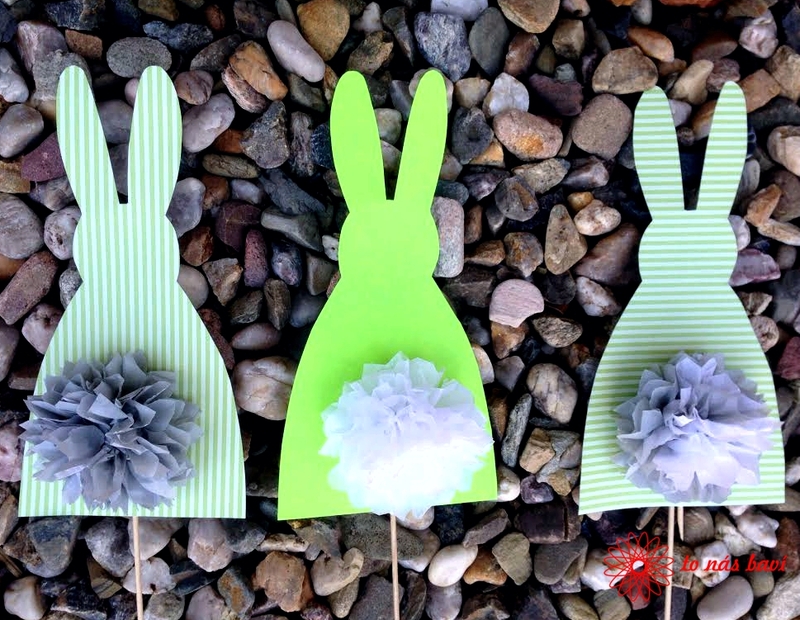 Decorate your home with lovely Easter Bunny with pom pom. 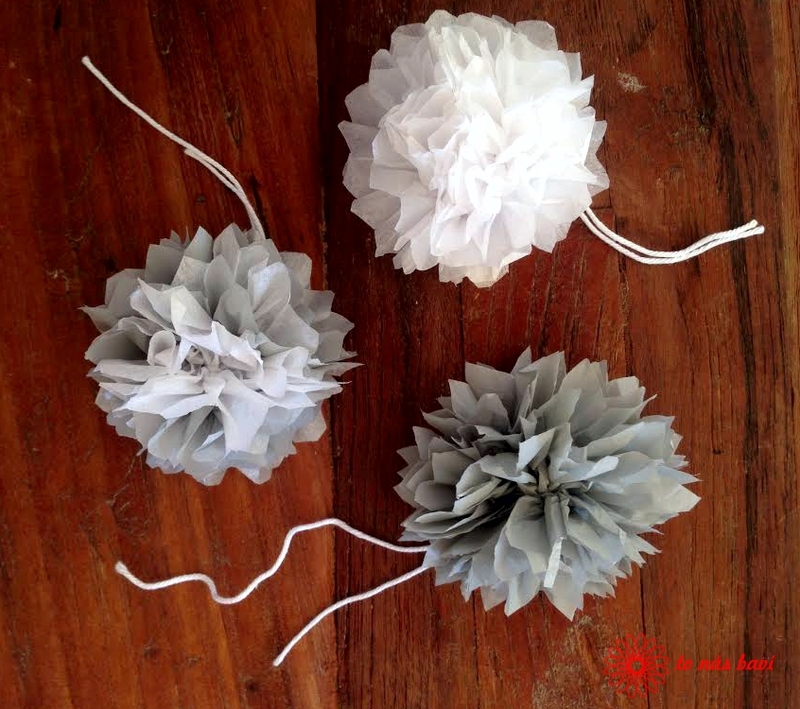 Let´s start with our pom poms. 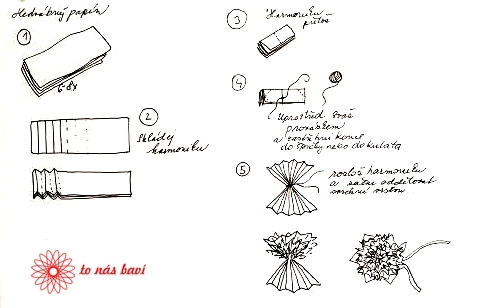 You can develop them your favorite way or use our instruction picture above. 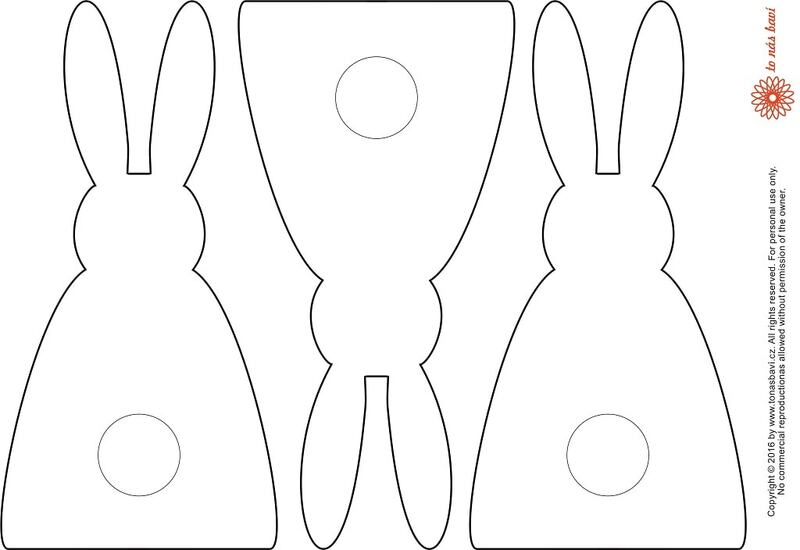 Then you can cut out the bunny from the sturdy paper (using our template) and tighten the bunny to a wooden stick with a tape. 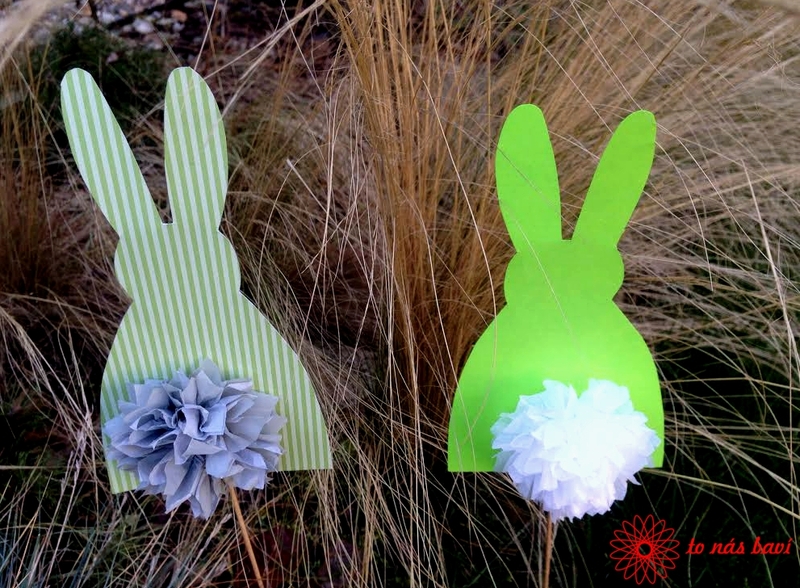 You can decorate your bunny if you wish and at the end, attach the pom pom at the back with double coated tape. Enjoy your creative afternoon!